One piece of writing advice that they all seem to agree on is that we talespinners should spend at least as much time on our villains as we do on our heroes. The point, there, is that the character who actually propels the action forward in a story or novel is the antagonist, not the protagonist. A wimpy bad guy just won't do. As I heard someplace, Jack the Giant Killer needs a giant to kill. Another good move is to come up with suitable names for our villains. I once said, in a previous column, that I couldn't imagine 007 introducing himself as "Dinkins. Wilbur Dinkins." Well, the same goes for Bond's adversaries. Arnold Goldpinkie probably wouldn't have presented much of a threat to the world, or Doctor Yessiree. I should pause here to admit that some of the best literary and cinematic villains had normal, plain, believable names: Michael Myers (Halloween), Annie Wilkes (Misery), Frank Booth (Blue Velvet), Norman Bates (Psycho), Mrs. Danvers (Rebecca), Ben Wade (3:10 to Yuma), Tom (The Talented Mr.) Ripley, George Harvey (The Lovely Bones), Reverend Harry Powell (The Night of the Hunter), Jack Wilson (Shane), and so on. But who's to say that they wouldn't have been even more ominous if their names had been ominous as well? By the way, all baddies are not truly evil. Some--Mrs. Robinson (The Graduate), Lt. Gerard (The Fugitive), Major Henry Terrill (The Big Country), Ed Rooney (Ferris Bueller's Day Off), Headmaster Nolan (Dead Poet's Society), etc.--are just unpleasant people who get in the way of the protagonists' needs and goals. I'll always like the name of Milo Minderbinder, the sneaky opportunist and profiteer from Catch-22--and even though his actions unknowingly caused death and disaster, he was more of an antagonist than a villain. And some villains are so terrifying they have no names at all. In The Village, the creatures in the surrounding woods were whisperingly called Those We Don't Speak Of. Sigh. I wish I were the one who came up with those . . .
John, I'm always eager to read your lists. I agree with you on most of these though I think the name Vince Stone would work equally well for a good guy. Have you considered a list of names that come across as wicked because of their parts in a particular story, not just by the sound of their names? What a great list, John! I've always thought that Ian Fleming (great name also) was the best at naming villains--Klebb and Blofeld being among my favorites. 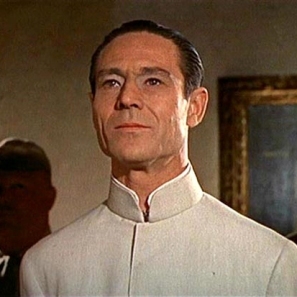 Dr. No is nothing short of brilliant for a bad guy. Think about it--no one wants to see the doctor, and everyone hates to be told, "no!" Genius, I say! David, I agree that Bond villains had some great names. I wasn't fond of Jaws, but maybe that's because that name was a creation of the filmmakers' and not of Fleming's. He didn't appear in any of the novels. Fran, you're right about Vince Stone--I was probably lured into listing him because of the reason you gave: he was more a memorable villain in that particular story, than a villain with a memorable name. What great lists! John, your posts are always worth reading. I'm smiling here, thinking that - in my own books - usually the cops are the bad guys, and the mob are the ones you root for. I love a villain who is really fleshed out...where his motivation is believable, such that the reader has sympathy for him. >Sigh. I wish I were the one who came up with those . . .
You would be very rich. Thanks, Melodie! In some of Elmore Leonard's novels, like Get Shorty, bad guys like Chili Palmer are certainly the ones to root for. I've heard it's ALWAYS better to give the bad guys at least some good qualities (just as the good guys should have some bad in them). And yes, the baddies have to be properly and believably motivated--it's not enough anymore to just make them MEAN. Good names do help, though. I'd be willing to bet the top authors spend a LOT of time coming up with appropriate character names. Forgot Arnold Zeck! Good addition . . .
Johnny Rocco, Eddie G's name in Key Largo. He made a great villain. Great lists. I always thought Travis Bickle (Taxi Driver) was a creepy character name. But maybe DeNiro's genius performance just made it seem creepy. Good old Johnny Rocco--thanks, Herschel. I actually watched Key Largo again a couple months ago. And I don't know how I neglected Travis Bickle, Peter, but I did. Half the fun of these trips down Novel-and-Movie-Memory Lane is hearing about characters you've either forgotten about or didn't know about. Another Bond villain (this one from a short story called "Risico," in the collection For Your Eyes Only) was named Aristotle Kristatos--and I forgot him too. I've always been interested that in Tinker Taylor Soldier Spy and some other George Smiley novels by John le Carre, the Soviet bad guy orchestrating the mole network is codenamed "Karla." This seems, to the Western ear at least imho, to be a feminine name, as if even the man's gender is uncertain. Thus, to me, it's the perfect name for an extremely important and mysterious high-level KGB operative, about whom so little is known that MI6 is willing to create a file using unconfirmed information, rumor and inuendo. 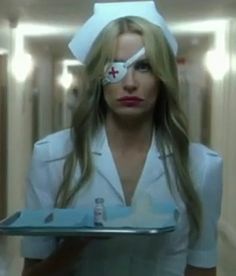 The name Karla, to me, serves to illustrate just how truly spectral the character is in the eyes of those trying desperately to track his operations. I agree, Dixon. In a world where code names are usually something like Jackal, Crossbones, Komodo, and so on, Karla seems appropriately mysterious and diabolical. I love those le Carre novels, and I can't help thinking of other le Carre villains: Haydon, Mundt, Roper, etc. Yes, it's as if the mundanity serves to almost highlight how duplicitous their true natures really are. And then there's the Len Deighton (early) spy novels, in which the hero is nameless (so they called him Harry Palmer in the movie). Somehow that always really worked for me: especially when he was up against Johnny Vulkan and Colonel Stok in "Funeral in Berlin". More good villainous names, Eve. I liked the first three Harry Palmer movies--Michael Caine played him in all of those, I think--but I haven't seen the next two. I have only the first two books, plus Deighton's Game/Set/Match trilogy, and enjoyed them. My memory is that in Tinker Tailor, Smiley says that some people say "Karla" was the name of the only woman the villain ever loved - and had killed. This theory becomes significant (though it is not mentioned) in SMILEY'S PEOPLE. Rob, I think you're right. And am I the only one who sees a similarity in the kinds of spy novels written by le Carre and Deighton? Their work seems to be more cerebral and less action-packed than other espionage stories. I recall a logline years ago for the movie version of The Ipcress File: it was billed as "The thinking man's Goldfinger." Based on the Novel by . . .
David Dean: "The Purple Robe"